Calling all animal lovers: We need advocates to promote Just One Day, our campaign for a national No Kill day on June 11, 2012. We are asking animal shelters across the USA to take a pledge not to kill any savable animals on that day. For Just One Day, “Euthanasia Technicians” will put down their syringes and pick up cameras. Instead of injecting animals with lethal doses of sodium pentobarbital, they will photograph them and post them on the Internet, on Facebook, on twitter. On June 11, 2012, they will market their animals to the public, they will reach out to rescue groups, they will host adoption events with discounted rates, they will stay open for extended hours, and they will ask their communities to help them empty the shelter the good way. Instead of going into body bags in freezers, the animals will go out the front door in the loving arms of families. At the end of the day, the shelters will be emptier than when the day started with no one being killed in order to make that happen. And if they can do it then, they can also do it on June 12 for Just Another Day. . .
All but 10 states are represented by at least one shelter. We need Arkansas, Hawaii, Nebraska, New Hampshire, New Mexico, Maine, Montana, Oklahoma, South Dakota, and Vermont to step up to the plate. 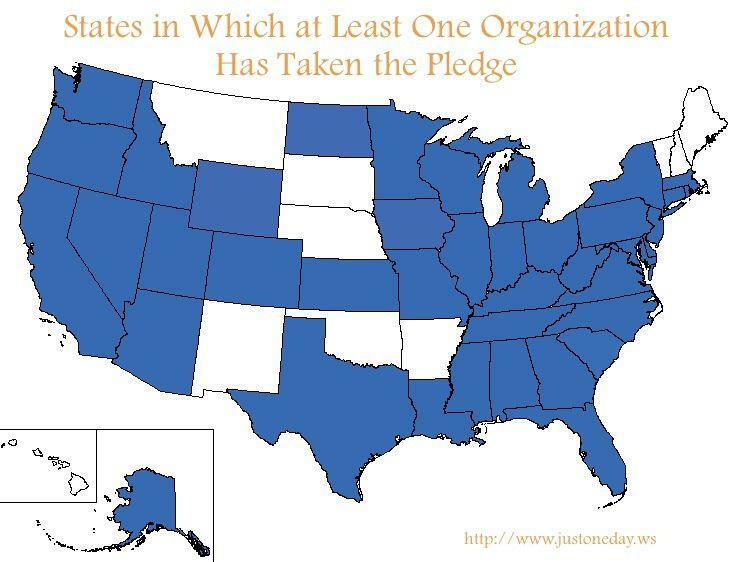 Help us fill these remaining states on the map!